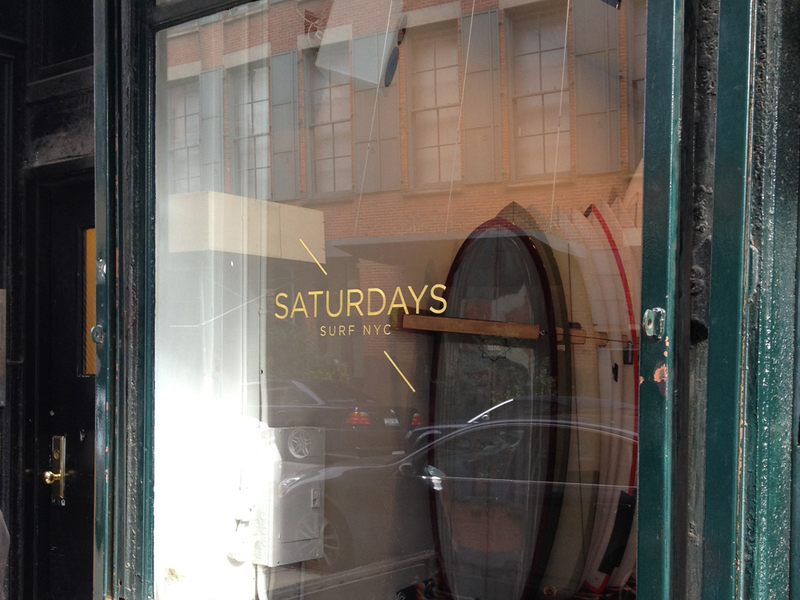 Since 2009, Saturdays has been supplying surf gear and coffee from a storefront on Crosby Street in downtown Manhattan. Their brand has established itself on classic ideas and a dedication to quality in all departments. 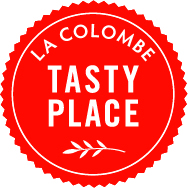 La Colombe: Coffee and surfing at first may seem like an unlikely combination but they’re both well-known morning activities. How did the two come together for you? Josh Rosen: The coffee element of Saturdays came from a couple places. Initially, I think it was just the layout of our store. The 31 Crosby Street location was the first store my two partners and I have ever had. We knew we could create anything and were sort of hoping for the best. When we looked at our space, there was this long hallway that opened up into a larger space. Halfway through the hallway there was this sweep in the wall that came out in a really nice way—making the hallway even slightly narrower. I remembered that one of the people who lived in the building for like 80 years told me that the space has been so many different things, and one of those things was a diner. So in my head I thought: “That sweep must have been created for the diner.” We could put racks of clothing, a rack of surfboards, or we could potentially create that cafe element. When the idea of the coffee shop came up it spoke to me for a few reasons. I’m born and raised in Seattle. I’m actually raised on Capitol Hill, which is one the original hot beds of coffee. One of my high school mate’s mom owned Cafe Paradiso, which set up Seattle as a place for coffee. I spent hours and hours down in the roasting room playing around this big space when I was around 13. So the element of really good coffee made in a small and interesting place was really close to me. When I saw the space I thought: “I would love to create that feeling I had as a child in Seattle in this place”. When you walk in everyone knew your name, it was very neighborhoody, and the baristas cared so much for the product. New York is a funny place for employees; for waiters and bartenders. It’s just crazy because rent is so expensive, everything is so expensive so everything is an extreme hustle. Sometimes you lose sight of the craft of what you’re doing. I wanted you to come in and feel like that barista really was focused on creating this beautiful cup of coffee. I’ve always wanted to open a cafe so there was that as well. I would love to open a restaurant someday. I love hosting people in your world, making every person feel like family and comfortable and give them access to a world they normally wouldn’t have access to. So what’s cool about having a surf shop and a cafe is that any human being who decides to come in, surfer or fashion person or otherwise, anybody in New York can come in and enjoy a cup of coffee and also enjoy our environment. It really made sense. The space made sense and it was something I have always wanted to do. 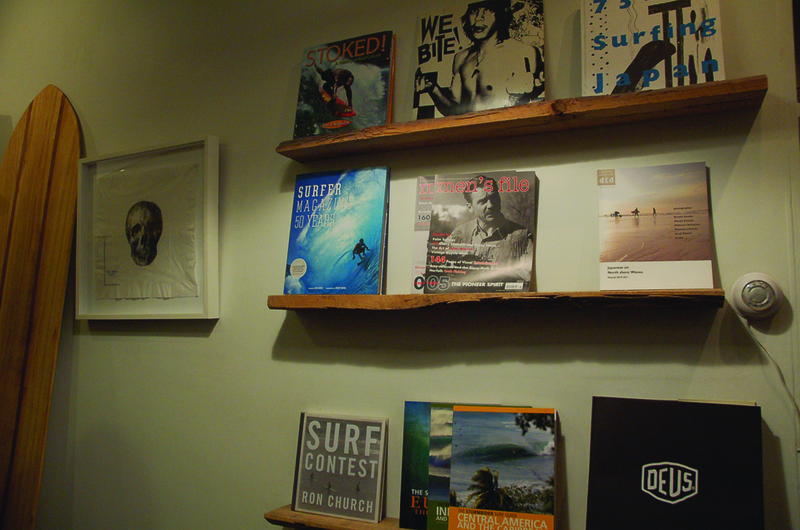 The first things you see when you come in the shop are the surfboards and the cafe. LC: Do you have morning regulars who come in for the coffee? JR: Absolutely! We have probably a hundred people who come in Monday through Friday, people who are our dedicated customers, and I think they love it because they have known us from the beginning. The neighborhood people who saw this weird surf shop/coffee shop open and then watched it grow with us, which is really cool. Because it’s obvious that we’re growing and the exciting things that are happening aren’t just shared between the partners, but also our customers who were with us from the beginning. We got really lucky because Crosby Street is one of the last strong holds of creative, interesting SOHO. [SOHO] has been taken over by the big giant retail guys and these really hot-shot agencies of every different sort: fashion, marketing, pr, advertising, whatever it is. All these things but it detracts from what SOHO really started as, which was this artist community because loft spaces were going for incredibly cheap. No one cared if you created an apartment inside these lofts. Now it’s either a commercial space or it’s residential space and there’s laws and regulations, but back in the day SOHO was like if you could figure out a way to sleep there and shower, take it! It’s New York. Whatever you think is cool for a minute, just give it 20 minutes and it’s gone. It’s commercial. And you have to go deeper and darker. LC: Any plans for new locations? 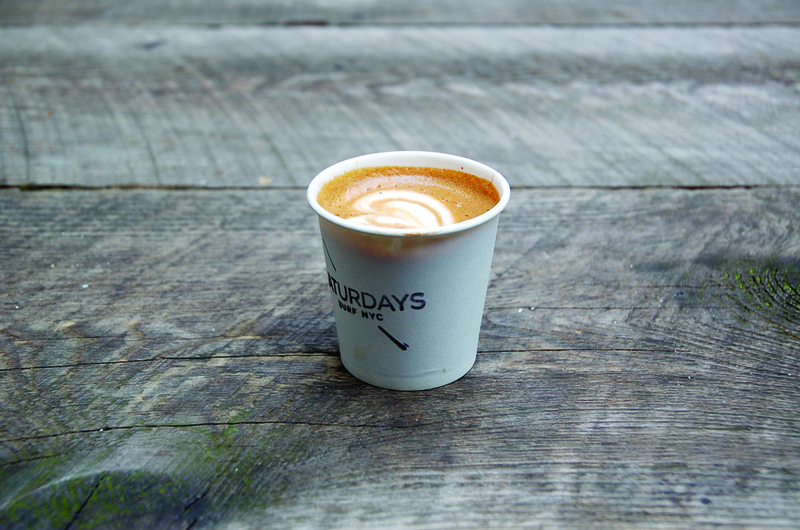 JR: We opened up one in Tokyo and we’re opening up another in West village at the corner of Perry and Waverly. It is currently a cafe called Doma but we’re taking it over and turning it into a Saturdays and that will be on June 1st. It’s been 3 years so we felt like it was time to expand. West Village and SOHO for me are the two kind of perfect locations for the brand. When we first started we were also looking in West Village so it’s a pretty natural move. LC: Is coffee going to continue to be one of the main elements of the brand? Absolutely. The brand is now grown to the point where we sell to the best retailers globally so we’re in 70 stores around the world and we really care about who we sell to in each location. So in Japan we only partner with the best department store and it’s the same for France, Germany, Sweden, Australia and all around the world. What’s great is that people really know us for this surf shop/coffee shop which I love. I think as the brand grows and people know it more as an apparel brand that coffee shop aspect will always be an important one so even when we do an apparel shop in Tokyo or in Hong Kong which we’ve done over the past years, they want the coffee element. So they’ll put in coffee cups, they’ll put in a drip brewer and we’ll send them over La Colombe! But it’s interesting that even when we go into markets where we don’t have a retail store that has a coffee shop, they still want that coffee part. 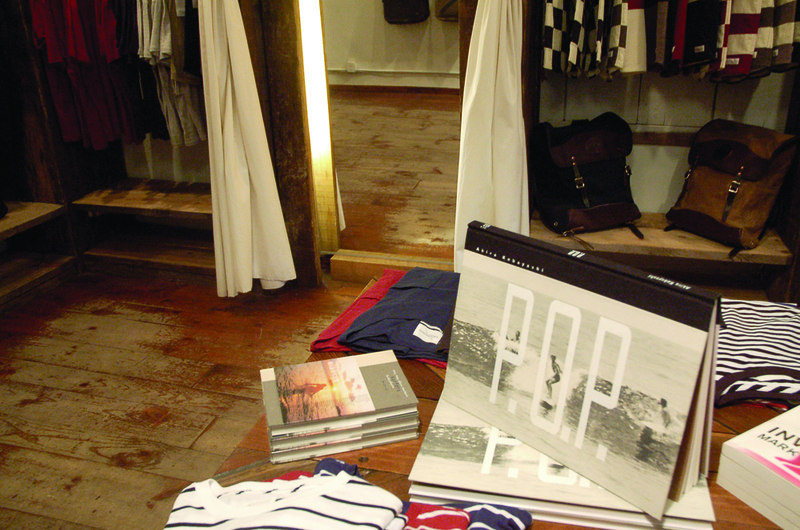 LC: Do you have customers who develop a love for coffee who came in for surfing materials or apparel? JR: That’s a good question. When we first opened we made the coffee so we have a little bit of a closer eye on that. It’s been a few years since we’ve been making the coffee ourselves but I would say that the coffee drinkers who came to us, a lot of what they were saying was that it’s hard to find a good cup of coffee. It was definitely an issue in that neighborhood because the only coffee was Starbucks when we opened. For a lot of people it was just a relief to not deal with going to Starbucks and once they tasted the coffee they were like “Oh, this is great”. Admittedly we made a good cup of coffee when we started but we were able to hire these baristas, who were essentially chefs. They were these coffee geniuses and they brought up the coffee to a level where we were getting the notoriety in these magazines saying we make a really really really good coffee. I think for the people who were coming to us it was just a bonus but I’m assuming it probably did elevate their taste for coffee because it allowed them to taste an amazing bean on a great machine made by an incredible barista. LC: Can you tell me a little bit about your logo? Is it a signal flag or a nautical thing? JR: One of the owners of the business comes from art direction of magazines (New York magazine,GQ and Esquire). When he came on the bus, he essentially created the logo. The aesthetic feel of the word was great; when you look at the word it was supposed to feel a certain way and the slash wasn’t really inspired by any sport or any sort of thing. We saw it and it was really beautiful. He’s incredibly talented. We learned from Collin that how a word sits on a page is incredibly important to how a person perceives that brand. That’s what the slash does for us. It’s uniquely our own, it’s not aggressive. People talk about it, “It’s a surf board!” or “It’s a wave!” and we love all of that. But the mystery solved there is that there is no mystery. It’s good that people talk.